Women love teddy bears for they are soft and flurry but not the grizzly bears that are rough, hairy and course. That is why we prefer our men to be clean shaved, with hair looking good only on their head and not on the face. After all, we also go through a lot of tweezing pain to look prettier. So why can’t a man? Besides, if you are a man who believes in personal grooming, shaving is imperative and not an option. Let's get it right. Clean shaved and smooth shaved may necessarily not be same always. However, they are complementary to each other. Now everyone can pick a shaver, a little foam and cut the facial crop. However, achieving a smooth look takes a little more than that. 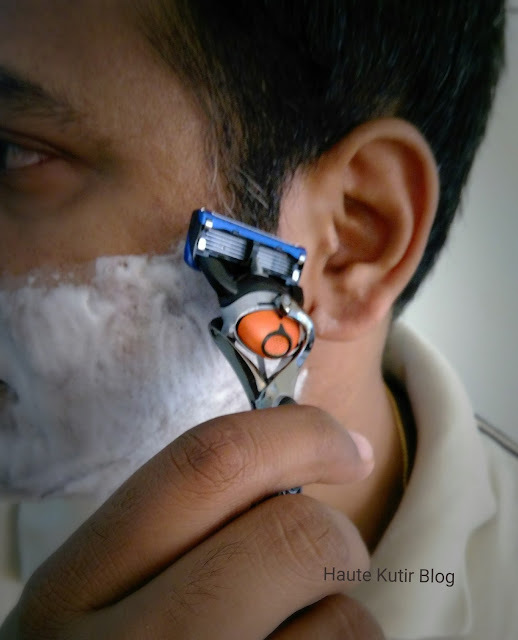 In October, we have written about Male Grooming that got 5X times sharper with the launch of the New Gillette Fusion Flexball Shaver. The post got quite popular with our male readers especially the ones in corporate who need to shave on a routine basis. Now we all know that shaving as routine tends to get monotonous. Besides, daily shaving can make skin coarse and dry too. 1. Razor is where Hair is- Like waxing wherein hair growth direction is important to determine the right pull, it is equally important to see the growth direction of your facial hair too. Even if you are using Salon services, be mindful of your hair direction and always go in growth direction i.e. going with the grain. 2. Use a right shaving Cream or Gel- As the rule goes, Cream adds to moisture and hence good for dry skin. Wherein gel has drying effects and is mostly good for oily skin. So do not chase labels but choose your shaving gel/ cream wisely. 3. Brush up- Do not use your finger to lather up. Instead, use a good quality round brush and apply the cream in a circular motion, ending up in an upward stroke, lifting the beard hair up and away from your face. It is a vintage trick that many salons across the world use successfully. 4. Go hot, go Cold- You would have noticed many people shaving post a hot shower. Hot water helps to moist and smoothen your facial hair, making it easier to shave with greater results. So if you cannot use hot water, get a hot towel to prep up your skin. Post the shave; do use cold water to rinse your face as cold water reduces inflammation. 5. Invest in a Good Quality Razor- Your razor is most significant for your shaving experience. 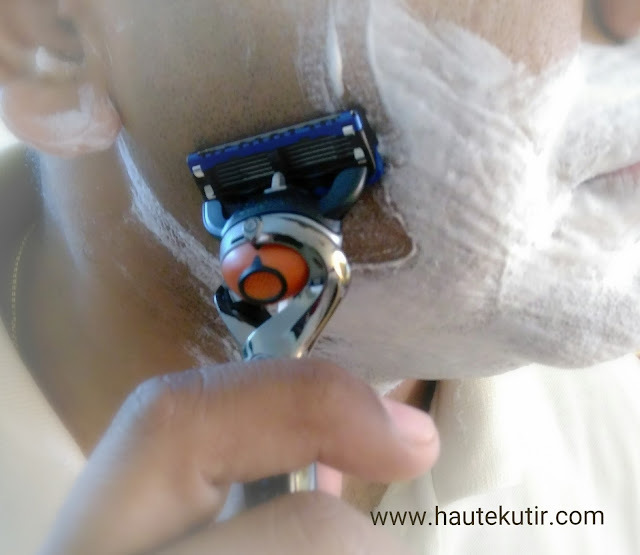 Ensure that you use a good quality razor and do change the blades on regular basis. The bad news is- a bad razor or old blades can temper your shaving experience, causing unwanted cuts. Good news is there are good ranges of shavers available in the market that has not just one or two blades but comes equipped with 5 blades as well. 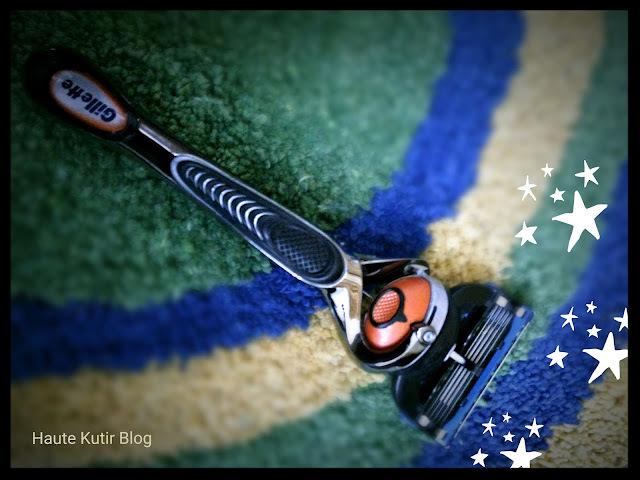 One such Razor is new- Gillette Fusion Flexball that comes with 5 blades. It also has a gliding handle that takes the contour of the face, ensuring a wide reach even to the in-growth hair. You can read more about it here- on Haute Kutir Blog. The flexball had been tried and tested by our team which has given quite a good verdict on the same. So if you have thick hair or coarse hair, do try our tips. We will keep bringing interesting brands and tips to your fingertips and would love to hear your feedback. Interesting ! 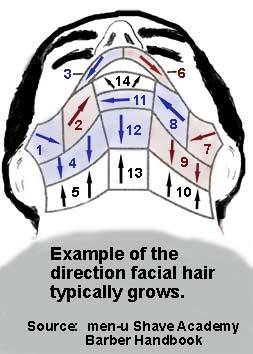 Have shaved for years without knowing all this. I am an Instagram Bunny!